Just wondering, can the HU be replaced in the Ignis? I mean the lowest variant doesn't get any HU and the mid variants get the outdated one, so if one wanted to install a touch screen HU it's possible, right? 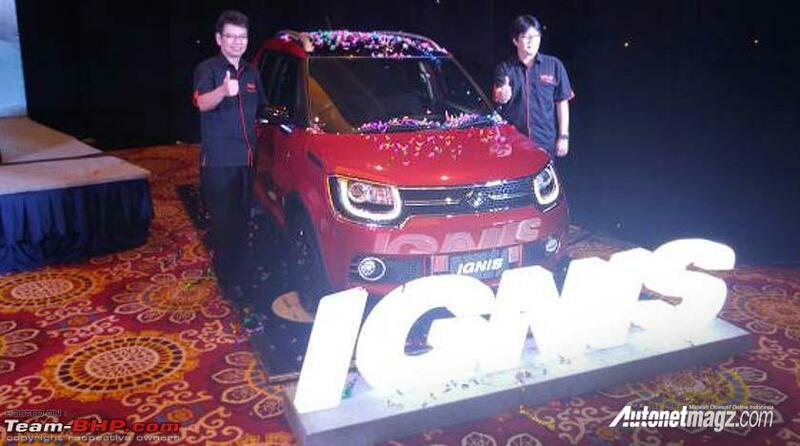 IGNIS has been launched in Indonesia, making it the first international market to receive the India-made version. It is available in two grades and priced between IDR 139.5 million (6.76 lacs) and IDR 169.5 million (8.22 lacs). The only engine option is the 1.2L 4-cyl K-Series petrol engine that produces 61 kW (83 PS) and 113 Nm of torque. 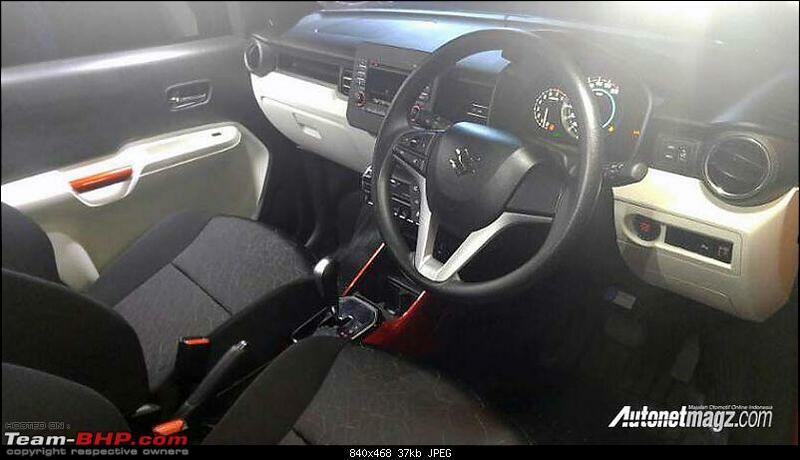 The GL and GX grades come equipped with a 5-speed manual gearbox as standard, while the GX AT has the 5-speed AGS (Auto Gear Shift) AMT. The top-end GX AT comes with features like LED headlamps with DRLs, fog lamps with chrome embellisher, steering-mounted audio controls, automatic climate control, and a 2-DIN audio system with Bluetooth as standard, while a 7-inch touchscreen infotainment system is optional. 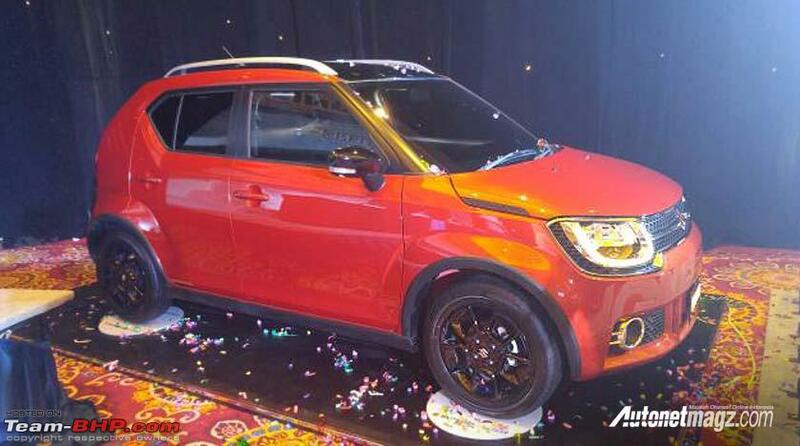 However, the Indonesian version gets roof rails which is not offered in the India-spec car. Are you talking about the mere 5K difference between the base Petrol versions? Or the 45k difference between the top Diesel versions? Top Petrol versions ~35k difference. 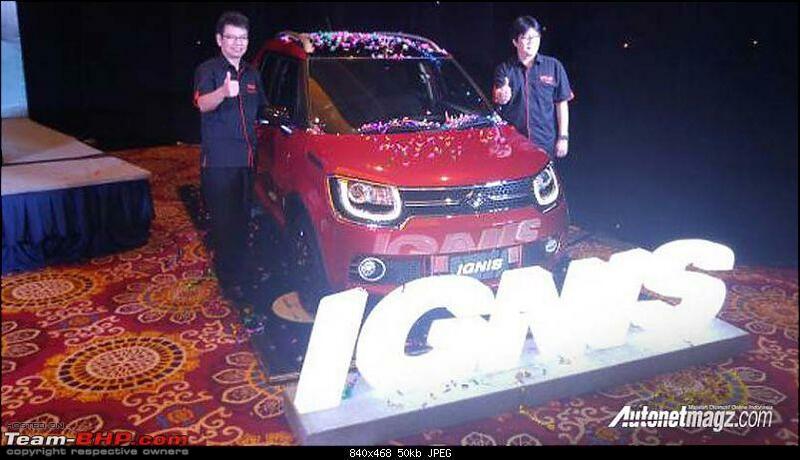 To be honest, there is barely any contest in diesel variants as Ignis wins hands down with the DDIS. If space is the only point of comparison, if Swift is of the same size of Mini, does that mean they fall in the same category? Kwid is much bigger than Alto. Are they not competing each other? It's the combination of price, size, features that define the competition. Don't isolate each of them. That exactly is my point - what Grand i10 loses in looks (as per you), it makes more than that for the space and interior quality it offers! To each, his own. For me, instead of the vanilla looks of i10, I prefer the more rugged-looking Ignis. And I was just mentioning my views on Ignis. Don't generalise my statement. "May select" is the word I used. Looks are strictly personal opinion, dude. Agree - looks are personal opinion. I quoted examples based on public acceptance. After all this factor will decide if Ignis' funky aspect was really funky or not. And you said Beat "successful"...? Or did I hear it wrong? Beat has fared well, and is a popular car. No intention to compare it with the success factor associated with Alto/Swift though. Me too. Peace to all. I personally didn't find any compelling reason to buy this car if I were looking to buy a car in this segment. 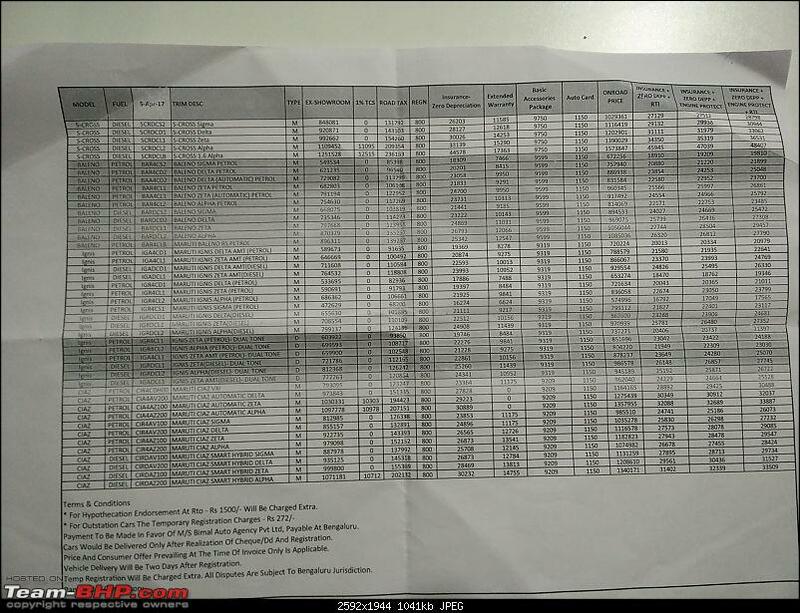 The segment itself is confusing, especially with the Baleno in the same showroom and close pricing. The vehicle was recognizable from distance due to the distinct LED DRLS. The front looks funky and distinct. The same can't be said about the rear. Opening and closing the doors feels a little more solid than regular Maruti hatchbacks. The HAVC console, touch screen system, meter console again look funky and premium. The gearbox is a joy to operate. It is smooth and precise. The NVH is poor. Little short bursts like accelerating from 20 to 60 kmph, results in a noisy cabin. The engine note is nice though. The car feels very compact. Three adults can't be seated at rear and 6 footers will have their head brushing with roof. The ride quality is not plush. Passengers are amde aware of the undulations and deep potholes result in a loud thud. I could hear rattles in the TD car which was fairly new. The white rear power window switch console was already scratched and dirty. The white colour highlights the scratches. 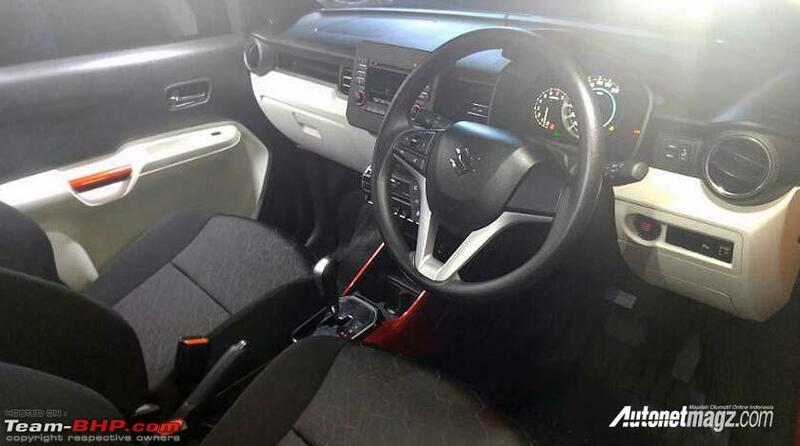 The plastics are hard and combined with the dashboard shape it robs the cabin of the premium feel. No height adjustable seat belts. Sales Advisor told the response is good for Ignis and maximum people are going for top end Alpha and Zeta petrol models. The waiting period is from 1-2 months. The Smart Play touch system can't be ordered separately. The roof wrap cost is 10k. Overall the car does feel superior to the entry level hatchbacks, but one look at the price list will give you a shock. 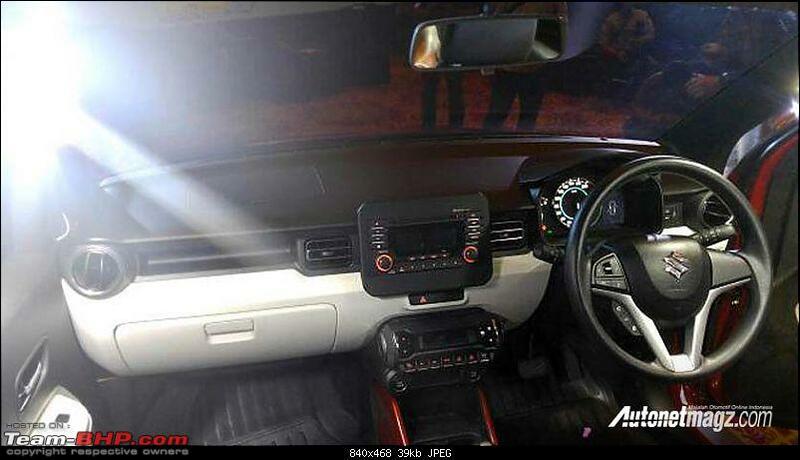 The Alpha Diesel dual tone is almost 10 Lakhs on road. The usual bashing continues but clear thing is sales numbers don't lie. It still outsells many other vehicles combined together despite being labelled as an upgraded Wagon R.
I've owned this for two months and am thoroughly enjoying the crisp power delivery and smooth gearshift. Everything boils down to one's own preferences. Based on that, we ignore the negatives and highlight the positives of our favorite car. And just the opposite of our "less-liked" car. Some will say light steering is a boon in city driving, others will say it is too light for spirited driving. Some will say the small size of the car is an advantage in city driving, others will say it is too small for 5 / 7 people. Some will say the sudden surge of turbo is adrenaline-pumping, others will say the power delivery is not smooth. Some will say the auto gear is an advantage in city driving, others will say only a manual gear gives the real driving experience. Some will say the soft suspension is good for an absorbent ride, others will say it will affect the handling. Some will say the retro look has its charm, others will say the car seems to be from 19th century. Some will say the beige interior makes the car feel more spacious, others will say it is not sporty / gets dirty soon. Some will say the dual-tone exterior is awesome, others will say it is overdone. The manufacturers are in real trouble! Last edited by romeomidhun : 20th April 2017 at 20:24. An overpriced car for what it offers. And the sad rear looks like belonging to cars of 1940 era. Sorry. Maruti has the tendency to get away with some radical designs as it has a formidable brand value and huge market share. 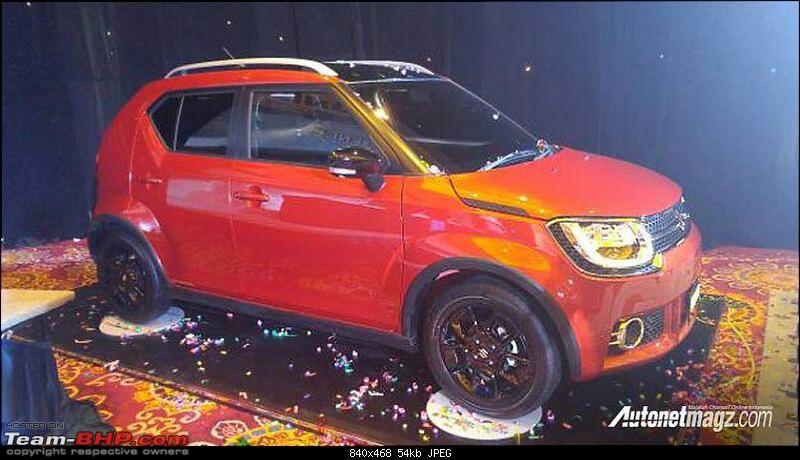 Ignis will cater to the young brigade with its funky looks and styling. The Ignis is not a bad car, no car today is. Its just that some "like" it some dont, whatever the reason. People who usually dont like a specific car usually make it a point in the first few pages of the review to let their views out. After a few pages/time this review will be filled with comments from existing and prospective buyers discussing the car. The TUV and Etios cross threads are a great example. When a design is non-conforming it will polarise views. Cheers on you purchase and wish you many happy and safe miles. However criticism should always be welcomed no matter how good the product is. There should be no surprises after one has purchased the car just because people were too polite to say their views out loud in the first place. A lot of buyers go through TBHP reviews before putting their hard earned money, so people telling them about various options their money can buy within the price bracket is only fair. Despite the negative views about looks/price/build there are knowledgeable members who have gone ahead with their purchases. I have a general doubt and it is not to offend anybody. From what I have seen in the last two years in our forum, most of car pricing are termed as expensive but the industry is growing steadily. May be some seniors could answer what was the general opinion about car prices in our forum in the last 10 years. Is it mostly termed expensive? I wonder if there is some gap between what we think a car must cost and what it actually costs (Considering the increased raw materials costs and labor costs)? When Tata releases a new car we say prices should be vfm because of its below par service network. On the other hand we say maruthi has excellent service network but yet we expect it to be vfm . Why? Because it is maruti? May be this is one of the perspectives maruti wants to change with nexa? Couldn't agree with you more. Some of the bashing is unfair in my opinion as well but every is in within their rights to bash a product if they dont like it. 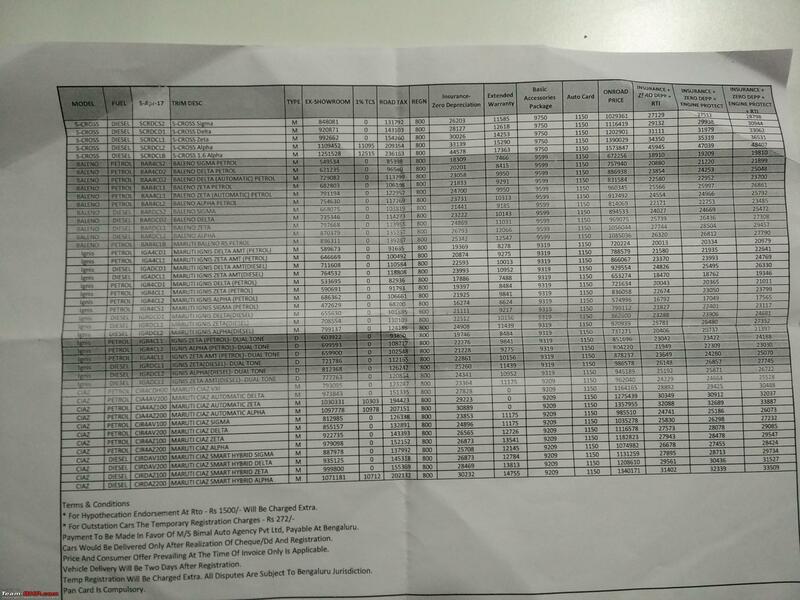 What majority fails to notice is that Ignis is a unique product (like Kwid is) in its segment. There's no crossover in the maket in the 6 lakh rupee range and its on a completely new platform. To me the ground clearance at 180mm in itself worth a lot. We tend to equate size with price just because the length is 3.8 mtrs It should be priced at 4 lakhs ( even though its miles ahead of wagon R). By this logic the mini cooper should be selling along with Swift. If Ignis's length was 4mtr then I am sure no one would have raised an eyebrow on the price even if the interior space was similar. 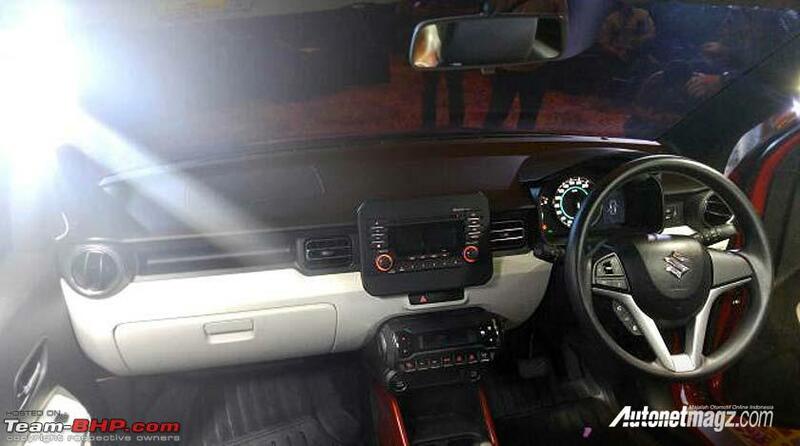 10 lakh rupee ecosport offers almost similar interior space. Its a smartly designed car, front space is better than swift and rear is at par with swift if not better. No matter which car it is, 3 well built adults are always a tight fit and long journeys are always uncomfortable with 3 at rear bench (unless its a muv like Innova). We should stop saying that its selling just the because of MSIL brand. Thats rubbish in my opinion, if that was the case Maruti would never had to do any marketing for their products and it would still be selling Astar Zen and Ritz even today. If brand value was everything then Abhishek Bachchan would have been the current superstar (since he was carrying the legacy of senior Bachchan) and not SRK or Salman (ok may be the analogy is way off). Point is brand value can only help launch a product it can never ever sustain it in the long run. There is no perfect car and there will never be. Times are changing and maybe people want something different. What was ugly yesterday is quirky today will be plain vanilla tomorrow. You can not just fault people for wanting something different. I have said this before and will say it again, its a global car launched everywhere with almost similar specifications and has been received well by everyone in every country. It was a runnerup and lost narrowly to BMWi3 for the coveted global compact car title. Surely that must count for something. I am a common man representing masses who bought it 3 month back and who is loving it to the core. Those complaining against the ride quality should get the tyre pressure checked. We can keep on bashing but its not gonna make it a success or failure market seems to have accepted this and it will only grow stronger from here on. Last edited by rahul412 : 20th April 2017 at 23:42. I think this is a very cool car. As small cars go, this thing is a hoot to drive, providing you get the most powerful engine. 0-100km/h in just 8 seconds is not bad. If you do in a little car like this it really feels like the proverbial pocket rocket. I’m seriously considering getting one as a little run about for myself. My other cars are just to big and cumbersome to take into town. There are car parks here in which the Inis would feel large, let alone if you take a Jaguar or a Mercedes. It’s not so much that I’m afraid of hitting anything. I’m more concerned of others hitting my cars when parked. Wouldn’t be the first time somebody accidentally smashed a door into my car or drove a shopping trolley into my car. All times are GMT +5.5. The time now is 02:00.